Can Tho (VNA) – Chairman of the People’s Committee of the Mekong Delta city of Can Tho Vo Thanh Thong had a working session on October 3 with Abe Masayuki, Director of the Vietnam Agricultural Information Centre (VAIO) on the development of the ideal model farm project in the locality. Abe Masayuki said that the major objective of the project, which is an idea of former President Truong Tan Sang, is building a training system for agricultural experts and setting up a foundation for the implementation of a synthetic agricultural system that is being implemented by Japanese agricultural businesses. The system includes organic cultivation, cooling system, frozen preservation, and harvesting technology. The project will be launched in the Mekong Delta region with Can Tho playing the key role. 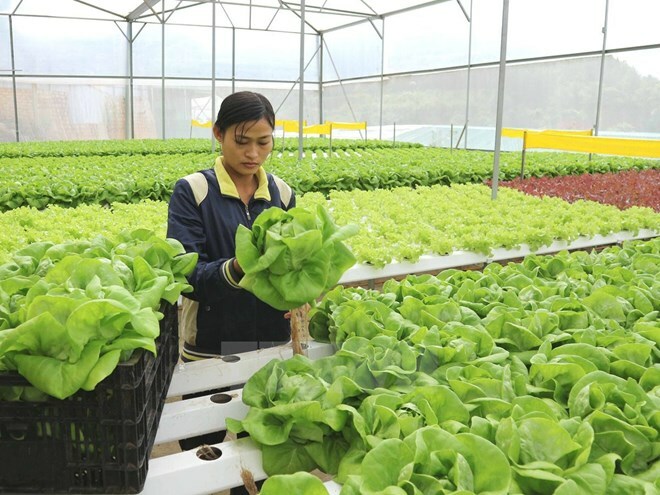 Masayuki said that the model farm will have the slogan “Made by Japanese in Vietnam”, adding that the coordination between the two countries will introduce a new trademark in the agricultural market. Initially, the project will cover about 2 hectares in the campus of the Can Tho College of Economy and Technology, using capital from the Japanese Government and private firms of both countries. The Japanese side will help train Vietnamese agricultural experts in Japan. Along with exporting products to Japan, the model is expected to become a reference for other localities. The Can Tho city leader said that the city will support the project with the aim of developing human resources for the agricultural sector and solving the city’s lack of high quality personnel.